What to wear on your Italian getaway. Italy is located in Southern Europe and the Mediterranean, famed for its beautiful locale and culture. The Renaissance began in Italy, as did the great Roman Empire. Italy has clearly left its mark on history and played a central role in Western culture. In fact, it has more UNESCO World Heritage Sites than any other country in the world (54!). 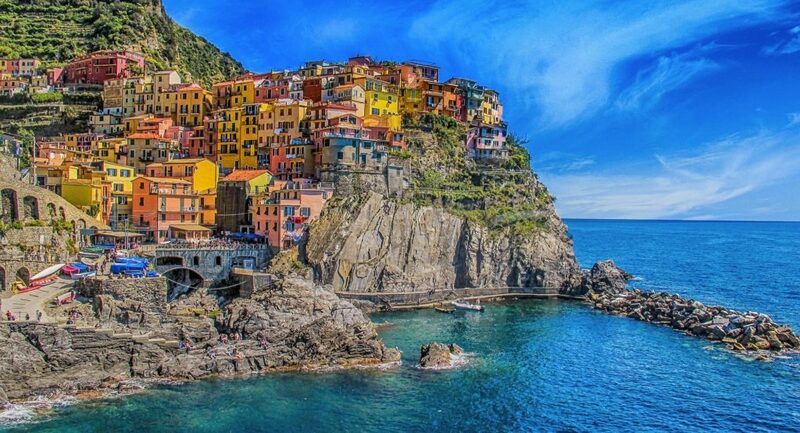 It is said that Italy has more masterpieces per square mile than any other country in the world. 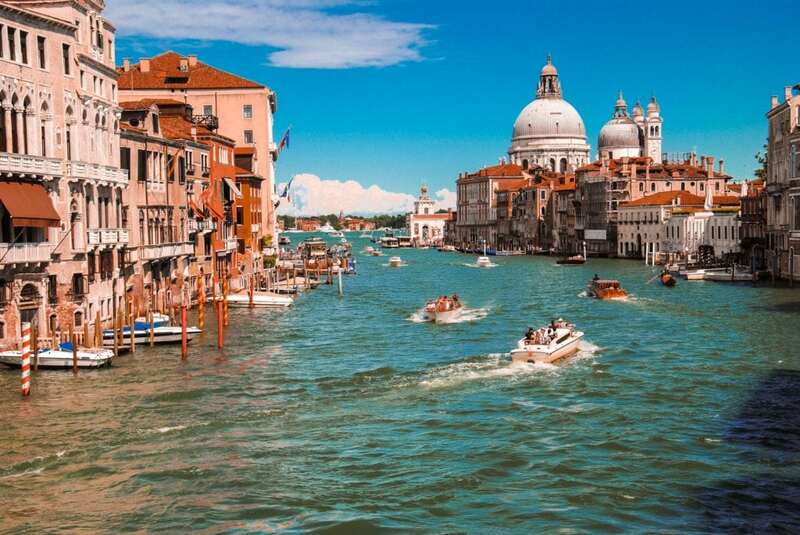 Whether you’re interested in art, history, religion, architecture, fashion, theater, music, or food, Italy has it all! It’s no wonder it’s the 5th most visited country in the world. Fun fact: you can thank Italy for ballet, the piano, thermometer, and much more. Rome is the capital city of Italy and is the fourth most populous city in the European Union. Known as the “Eternal City,” its history goes back over 28 centuries. Throughout its lengthy history, the city has erected many architectural wonders — in fact, Rome has over 900 churches. 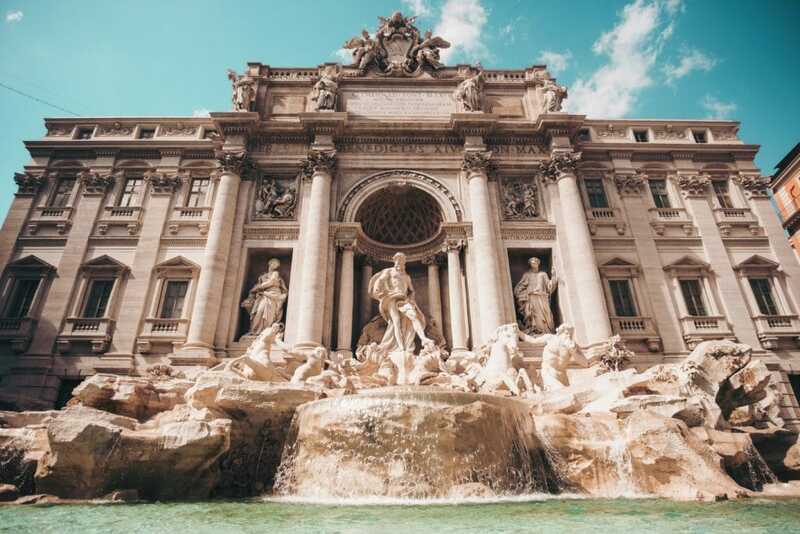 Some of the most famous Roman attractions include the Colosseum, Trevi Fountain, Roman Forum, and St. Peter’s Basilica. It also contains Vatican City, an independent country inside Rome where the Pope resides, and the smallest country in the world. There you can visit the Vatican Museums, St. Peter’s Basilica, and the Sistine Chapel. Since you will be walking all over Rome and the Vatican City, tennis shoes and a pair of shades will be your key to all-day comfort. 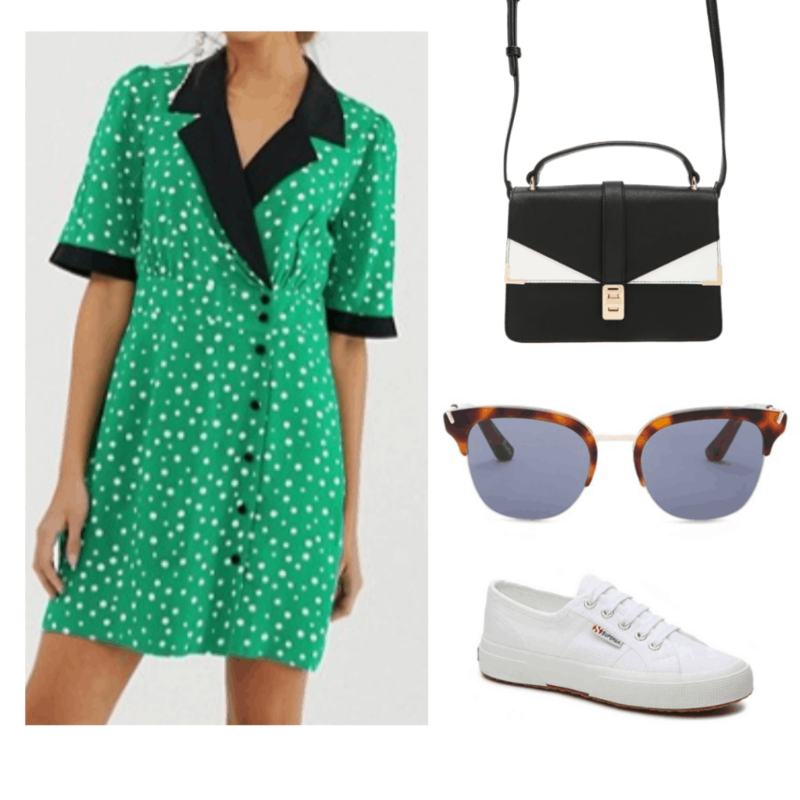 A breezy and unconventional dress is perfect for this casual but chic city. Florence is the capital city of the region of Tuscany and is considered the birthplace of the Renaissance. Famous for its cultural heritage, nearly a third of the world’s art treasures reside in Florence according to UNESCO. 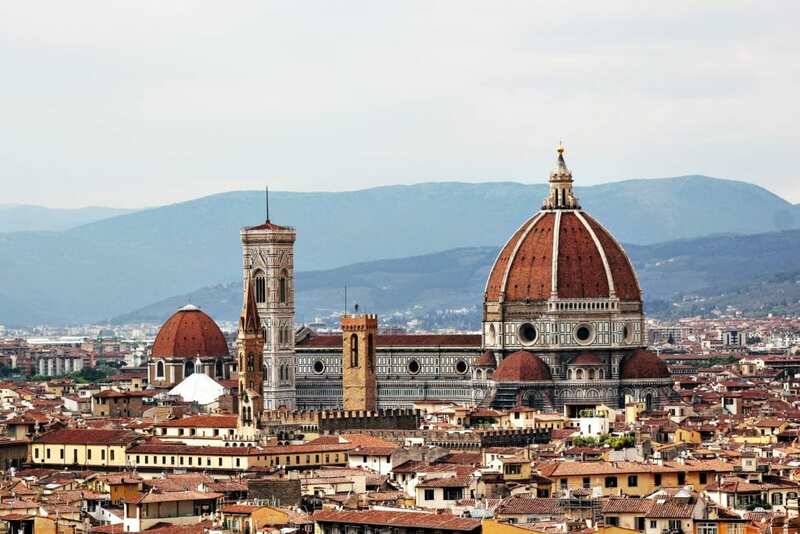 Leonardo da Vinci, Florence Nightingale, and Michelangelo were all born in Florence. Must-visits include the Uffizi Gallery, Palazzo Pitti, Cathedral of Santa Maria del Fiore, and that’s just to start. Fun fact: The fictional character Pinocchio is from Florence! Florence’s architecture has a very distinct palette. This outfit is inspired by the beautiful browns of all the buildings but is also practical. Most of your time in Florence will be spent walking from monument to monument and perhaps up the steps of a duomo, so dress for comfort. Located in Southern Italy, the Amalfi Coast is a beautiful Mediterranean destination that is classified as a UNESCO World Heritage Site. The Amalfi Coast produces world-renowned lemons, limoncello liqueur, figurines, paper (bambagina), and ceramics. It is also a convenient location to make day trips to Naples, Pompeii, and Mt. Vesuvius. Fun fact: Cappuccinos were invented here by Capuchin monks, who live on the cliffs of Amalfi. Soak up the sun in this mini dress, while a silk headband classes up the outfit – and keeps your hair out of the way! What would you wear in Italy? Have you been to Italy? If so, what did you pack and wear? What do you think about our outfits for Rome, Florence, and the Amalfi Coast? Tell us in the comments section below. Planning a trip to Italy? Here's our guide to what to wear in Italy, with outfits for Rome, Florence, and the Amalfi Coast, plus what to see and do.